As soon as you open your home to a dog, the possibility that the carpets have an occasional puddle of urine arises. While there are many commercial products that can be purchased at pet stores carpet, the stain will not wait for you to buy one. Having a recipe to solve your own dog urine crisis could save your carpet and day. However improbable, the first ingredient for the elimination of urine is cat litter. Scatter cat litter on the carpet to absorb moisture, then take it up and throw it in the trash. If you have cat litter, use old towels. Dry urine as much as you can, stand on the towels to make sure you not only absorb urine from the carpet, but also the pads below. 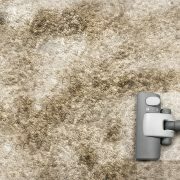 When the towels are not absorbing any more, it’s time for carpet cleaning solution. Mix 1/2 cup of powdered detergent and 1/2 cup white vinegar. This formula comes from the University of Maine. White vinegar neutralizes the uric acid in urine. Dog urine contains water, ammonia, uric acid and germs. After removal, there will still be traces of uric acid. This eventually crystallizes when combined with hydrogen and sulfur dust and gas is released. Using the solution to neutralize the uric acid and eliminate the possibility of it turning into gas. 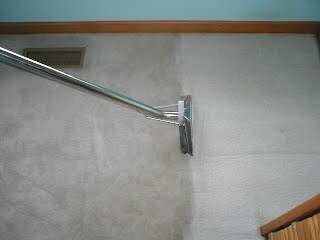 Pour enough solution on the area to absorb the urine completely from the carpet to the pads. White vinegar also has antiseptic to disinfect your carpet and floor. Dry it with towels or with the use of cat litter. The final step in cleaning the urine stain on the carpet, according to the University of Maine, is using additional vinegar and sparkling water. Use a spray bottle to spray the area with sparkling mineral water and vinegar. Put dry towels down and cover with something heavy to absorb the maximum amount of residual moisture. You will not be sure you’ve solved the problem until the carpet is exposed to high humidity. Wait until a wet day to see if your carpet is kept fresh. If the smell of urine is significant, repeat the process.